It was already mentioned in this site, that the first chat program in the world (EMISARI) was designed in 1971 by Murray Turoff. EMISARI however was used mainly for government and educational purposes and never became popular. The program, which gave birth to the modern extremely popular chat movement was the Internet Relay Chat (IRC) of Jarkko Oikarinen. During the summer of 1988, Jarkko Oikarinen (born 16 August 1967, in Kuusamo, Finland), a 2nd year student in the Department of Electrical Engineering at the University of Oulu, Finland, was working at the university Department of Information Processing Science, where he administered the department's Sun Unix server "tolsun.oulu.fi", running on a public access BBS (bulletin board system) called OuluBox. The work with server administration didn't take all his time, so Jarkko started doing a communication program, which was meant to make OuluBox a little more usable. Partly inspired by Jyrki Kuoppala's "rmsg" program for sending messages to people on other machines, and partly by Bitnet Relay Chat, Oikarinen decided to improve the existing multi-user chat program on OuluBox called MultiUser Talk (MUT) (which had a bad habit of not working properly), itself based on the basic talk program then available on Unix computers. He called the resulting program IRC (for Internet Relay Chat), and first deployed it at the end of August, 1988. When IRC started occasionally having more than 10 users (the first IRC server was the above mentioned tolsun.oulu.fi. ), Jarkko asked some friends at Tampere University of Technology and Helsinki University of Technology to start running IRC servers to distribute the load. Some other universities soon followed. Markku J채rvinen made the IRC client program more usable by including support for Emacs editor commands, and before long IRC was in use across Finland on the Finnish network FUNET, and then on the Scandinavian network NORDUNET. 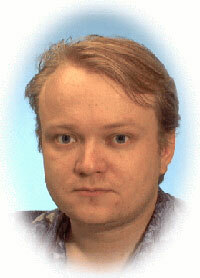 In 1989 Oikarinen managed to get an account on the legendary machine "ai.ai.mit.edu" at the MIT university, from which he recruited the first IRC users outside Scandinavia and arranged starting of the first outside-Scandinavian IRC server. Soon followed 2 other IRC servers, at the University of Denver and at Oregon State University, "orion.cair.du.edu" and "jacobcs.cs.orst.edu" respectively. The administrators emailed Jarkko and obtained connections to the Finnish IRC network to create transatlantic connection, and the number of IRC servers began to grow quickly across both North America and Europe. IRC became well known to the general public around the world in 1991, when its use skyrocketed as a lot of users logged on to get up-to-date information on Iraq's invasion of Kuwait, through a functional IRC link into the country that stayed operational for a week after radio and television broadcasts were cut off. The Internet Relay Chat Protocol was defined in May, 1993, in RFC 1459 of Jarkko Oikarinen and Darren Reed. It was mainly described as a protocol for group communication in discussion forums, called channels, but also allows one-to-one communication via private message as well as chat and data transfers via Direct Client-to-Client. As of the end of 2009, the top 100 IRC networks served more than half a million users at a time, with hundreds of thousands of channels, operating on a total of some 1500 servers worldwide.